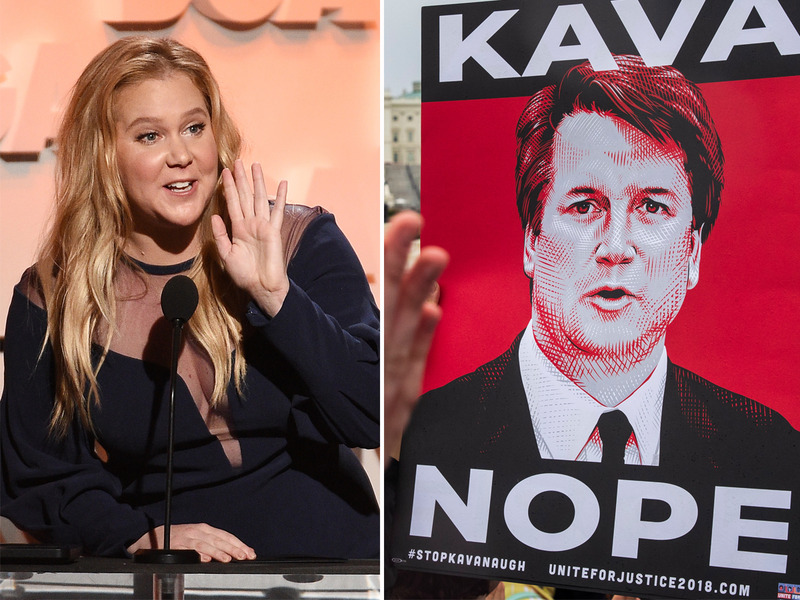 Amy Schumer attended the #StopKavanaugh protest in Washington, DC, on Thursday. A Daily Caller journalist posted a video on Twitter, which shows Schumer being asked if she wanted to get arrested — to which the comedian responded, “Yes.” Other journalists have since reported that Schumer has been detained or arrested, though the accuracy of these reports is unclear. Amy Schumer was confronted by a cop as she attended the #StopKavanaugh protest in Washington, DC, on Thursday.